Amazing Produce offers awesome quality artificial tangerine. Extremely realistic in size and color, you will think it was just picked from the tree. Perfect for any fake fruit and vegetable display. 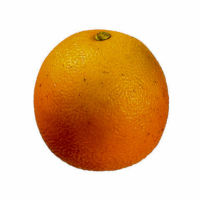 Spherical fruit of high-quality material are giving this fake tangerine a realistic feel. These fake tangerine are great for any produce display, bistro, buffet, film shoot, photo shoot, food counter or bakery, and many more. If you need realistic looking faux tangerines, Amazing Produce the one you are looking for. Our tangerines can used for indoor and outdoor decorations as the colors of these tangerines will not get fade over long term use.